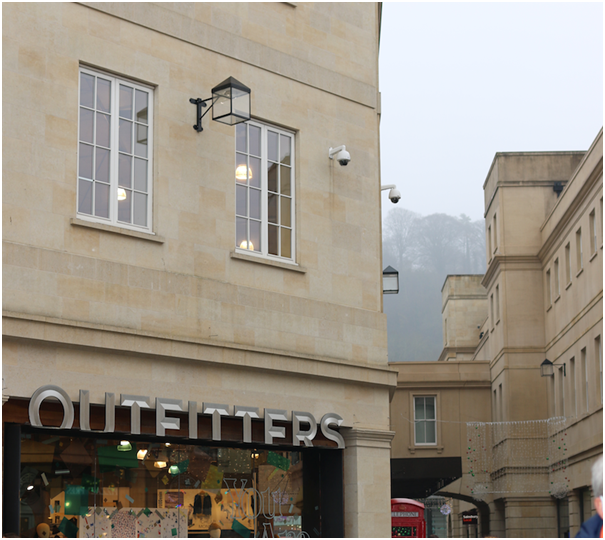 SouthGate Shopping Centre is an outdoor destination/retail park area located in central Bath. Opened in 2009 it boasts 96 shops, restaurants and large underground carparks. 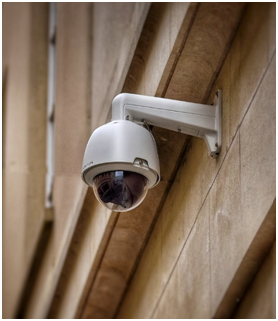 As an extensive space, it is essential that the CCTV equipment is up to date and effective to reassure staff and shoppers of their safety. SouthGate Shopping Centre was struggling with seven year-old, out-dated CCTV equipment. 30 cameras were faulty and had recording issues on DVR, others were obsolete and the maintenance of the old system became a major expense. The analogue cameras underperformed and the solution was neither upgradeable or scalable. There was an urgent need for new and high quality equipment. The dome cameras help the security team to see crystal clear HD images from various angles, which is perfect for busy open spaces. The powerful infrared LED night vision means the camera can see up to 30 metres in total darkness for excellent clarity of recorded images.Varifocal dome cameras and fixed dome cameras updates. An NVR software programme records video in a digital format to a disk drive, USB flash drive, SD memory card or other mass storage device. This means all content recorded in the centre is stored and available to view easily by security staff, which was previously an issue with the old equipment. The centre needed a state-of-the-art IP solution at a reasonable price and Hikvision fitted the bill. With the work from BWS Standfast, the entire fleet of cameras were installed within one month with minimal disturbance.